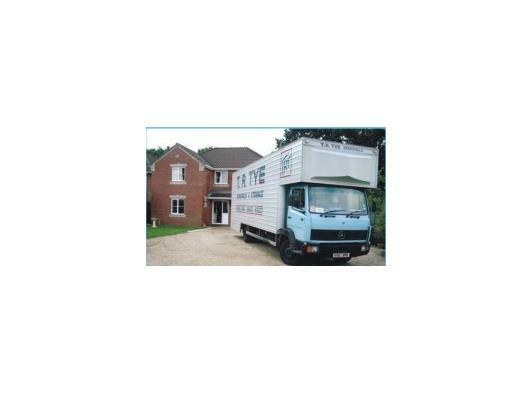 If you have family and friends to help you move why not hire a 7.5 ton removal van and driver? Established in 1982, T. R. Tye Removals & Storage offer a fully comprehensive service throughout the UK for both domestic and commercial customers, seven days a week. We offer a fully manned packing and removal service, or, if required, a lorry and driver only service. We provide excellent secure storage services at our storage warehouse at great prices. Goods can be transported and managed by us. Services include containerised storage, airflow heated storage, long & short term storage, personal items, single items, and assorted size storage units. We also do archive storage and offer confidential shredding. We sell packaging at extremely competitive prices. This includes bubble wrap, export packing, insurance packing, Packing Cases, Packing Materials, Contract Packing. Delivery of packing materials can be arranged.